Texas Department of Public Safety Director Steve McCraw has issued a termination letter for Brian Encinia, the trooper who arrested Sandra Bland. 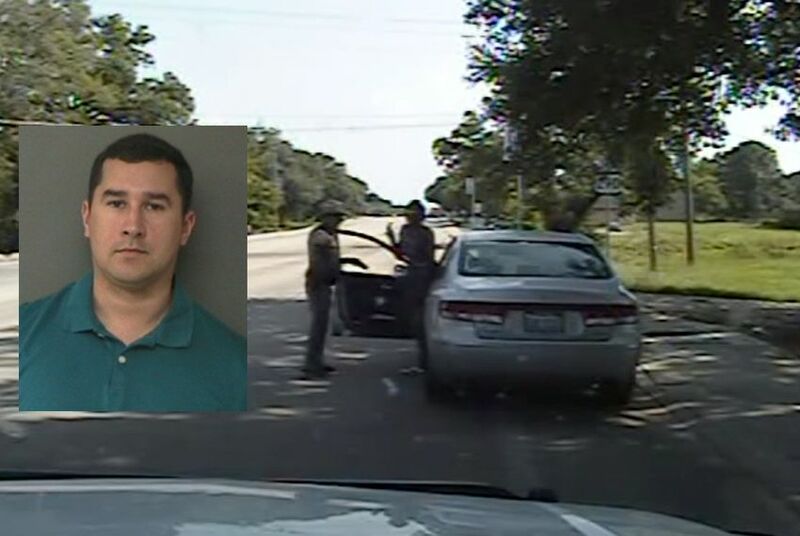 The January 2016 booking photo (left) of Brian Encinia, the DPS trooper who pulled over and arrested Sandra Bland. Waller County Sheriff Dept. In the letter of final termination, McCraw said Tuesday: "I have carefully considered all the points raised by you in our meeting on February 5, 2016. I have determined that you have not rebutted the charges set out in the statement of charges of January 28, 2016. No cause has been presented to alter my preliminary decision. Therefore, it is now my decision that you be discharged from the Texas Department of Public Safety effective at 5:00 p.m., upon the date you receive this letter, pursuant to the authority vested in me by Section 411.007, Government Code." Encinia stopped Bland near the Prairie View A&M University campus on July 10, 2015 for failing to properly signal a lane change. After a heated argument, the trooper arrested Bland for assaulting a public servant. Bland was found hanged in her Waller County jail cell three days later. Her death has been ruled a suicide. A Waller County grand jury indicted Encinia in January after concluding there was evidence he lied about the circumstances under which Bland exited her car. If convicted of the misdemeanor perjury charge, Encinia could face up to a year in jail and a $4,000 fine. His case will be heard in the 506th District Court in Waller County. McCraw announced the day of the indictment that he would begin termination proceedings. Encinia has 15 days to appeal McCraw's decision to the Public Safety Commission, which oversees DPS. Encinia attorney Larkin Eakin Jr. said his client will appeal the director's decision.